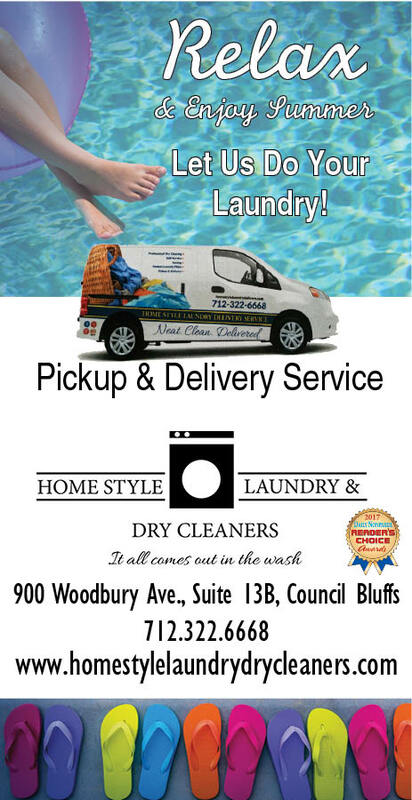 Home Style Laundry & Dry Cleaners – A veteran-owned and operated laundromat in Council Bluffs, IA. We have been in the laundry service industry for more than 30 years. 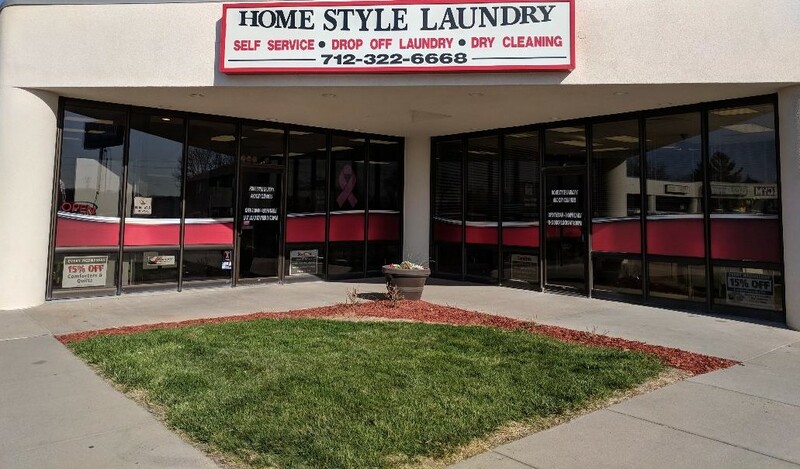 Home Style Laundry and Dry Cleaners is a recipient of numerous awards in the service sector that continually provides excellent and dedicated service for your laundry needs throughout the Council Bluffs and Omaha areas. Our services feature Drop-off Wash and Fold for residential and commercial accounts, a Self-Service Facility, Dry Cleaning, Ironing, Mending along with our Pick up & Delivery Service. Just like family — we handle and treat your clothes, delicates and precious silks just like mom! Safe and environmentally friendly detergents and dry-cleaning products are used. Who Are Home Style Laundry Customers? Actually, the answer is quite simple…anyone or any place that has laundry that needs to be cleaned. Home Style Laundry prides itself upon speedy, reliable and quality wash, dry and fold services for professional organizations and individuals. Our clientele consists of your neighbors, teachers, doctors, chiropractors, physical and massage therapists, attorneys, major retailers, international entertainers and their crew. Regardless of the type of account, Home Style Laundry Delivery Service will PICK UP AND DELIVER your laundry right to your door. Combined with your water, electric and detergent savings (not to mention your time) our services “PAYS FOR IT SELF”. Whether you are dropping off your laundry for us to wash and fold, using our self-service facility or trying out our pick up & delivery service you get the same great service from Home Style Laundry & Dry Cleaners. Our professional and friendly attendants will assist you with all your laundry needs.